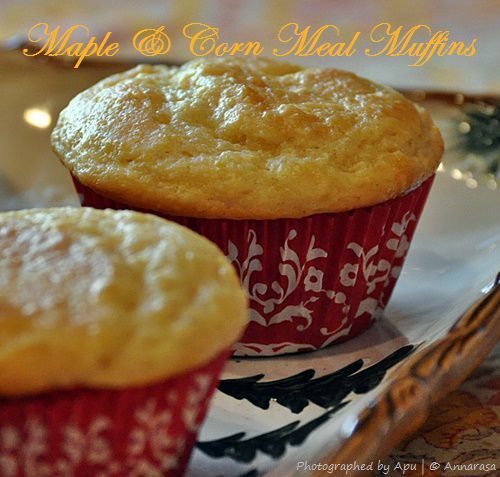 I have been planning on making these muffins for some time now, but it took time as I was working on a recipe that would yield super soft, moist, yet flavorful muffins. I think I finally have it. We made them for breakfast this morning and they were - Oh So Gooooood! Drizzled with home made maple butter, they disappeared in no time at all. I had to bake a second batch just to get the photographs for this post. Whisk together all the dry ingredients in a large mixing bowl. Bake in a preheated 350 F Oven fr 22-28 minutes. Remove, cool for 5 minutes. Enjoy warm with maple butter. This recipe makes 6 regular size muffins. They are amazing eaten warm out of the oven with maple butter.